Here goes: we have just released a leaderboard of the best guessers in the Mystery Chocolate Box community. Now, you not only get Cacao Points and a pat on the back for guessing correctly, but you also get fame and glory on our leaderboard. Let’s just call it “internet cool points”. Want to check it out and see how you rank? Here it is: Mystery Chocolate Box Leaderboard. Now, let’s look at November’s Mystery Chocolate bars. Now this was an interesting chocolate experience, wasn’t it? We actually think this chocolate bar was designed by a mischievous cat. He’ll purr and act like a sweet little pet, then when you turn your back and walk away….BAM! He jumps on your back. Ouch! Is that a claw? Anyway, let’s just say we found this chocolate bar to be a very interesting one to taste. Because at first bite, it tastes just like a regular dark chocolate bar. No inclusions, nothing really special about it (other than the fact that the chocolate is VERY high quality and amazing). Then…the flavor hits you and it changes your experience entirely. One of the most interesting bars we’ve featured. Ok, well the cat’s kind of out of the bag on this one already (ZING! …. get it? We’re on a roll here! ), but here’s what this chocolate bar was…. There’s a good chance you haven’t heard of Brasstown Chocolate yet, so we thought we’d introduce them with a bang. These guys are a bean-to-bar chocolate maker located in Winston-Salem, North Carolina — right down the road from us here in Charlotte! They’re one of the best up-and-coming chocolate brands. Last year, their Venezuelan Chuao 70% dark bar took Silver for “best dark plain/origin bars” at the International Chocolate Awards. Oh, and if you have ever heard of a chocolate brand called “It’s Chocolate”, it’s them. This year, they changed their name from It’s Chocolate to Brasstown Chocolate. This bar came from a chocolate company that disregards all of the old “rules” when it comes to making chocolate and does things their own way. And we like that. When you first look at this bar, you’ll notice it has a bit of a shininess to it, kind of like what you find in a milk chocolate bar, but it’s all dark chocolate. Then, when you bite into it, you get a nice sharp crack because it has a great temper to it, then almost immediately it starts melting into creamy chocolatey goodness. We think the clarified butter in it might have something to do with that. That is, if you don’t know too much about the gory details of making chocolate, highly unconventional. Like we said, they do things their own way. But what we haven’t talked about yet are the inclusions. You know, the things you have to guess. 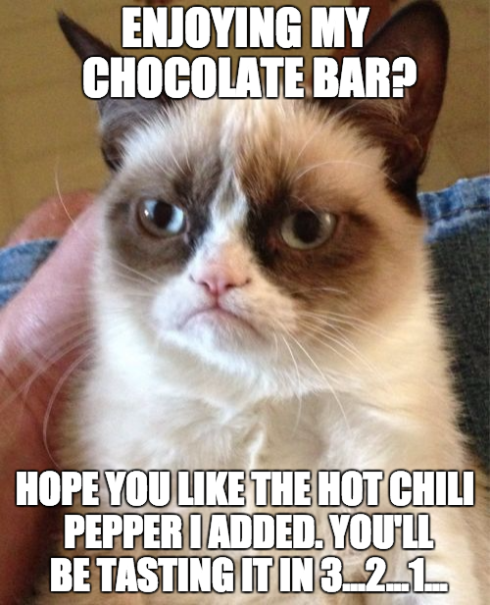 Well, this bar has a great “warming” taste to it…it’s kind of hard to put your finger on exactly what it is because the flavors themselves are subtle. And that’s what makes this so fun! Yep, they just call it “spices” but it’s cinnamon, vanilla, and cayenne pepper. Mulate Chocolate is a brand that we hadn’t tried until recently. We had to include one of their bars because they’re just so different. You get the super high quality, premium chocolate that you know and love, but it’s different because of their creative and unique approach to making chocolate. We’d tasted a chocolate bar with this inclusion a while ago, but weren’t able to include it in one of our boxes. So, we were ecstatic when we came across this one by one of our favorite chocolate markers. We knew we HAD to include it so you could enjoy this combination. Combined with the milk chocolate, we knew this one was going to be a winner before we tried it. And it was. Butlers is one of our favorites! They make awesome milk chocolate bars — we included on of their bars in a previous box and it was one of the most popular bars we’ve included. We’re big fans of theirs. So that was November’s box…how did you like it? And, how did you like this post? Should we always relate our chocolate bars to cats? And throw in corny puns? From us at Mystery Chocolate Box, we wish you the best this holiday season. Enjoy lots of chocolate (especially hot chocolate). No Replies to "November 2015"